Consumers everywhere are familiar with a slew of logos. The Nike swoosh, the Starbucks mermaid and the wave beneath the words “Coca-Cola” all immediately inform people about the products they represent. No one can mistake a pair of Nike sneakers for a pair made by Adidas, and it’s the swoosh design that makes this possible. No matter what they sell, most companies have a logo. Whether it’s a law firm or a landscaping company, each business can benefit from using an original, customized logo. However, if you’re unfamiliar with what makes a good logo, then it’s difficult to know where to start. You might even wonder if your organization needs a logo. While you may be tempted to dismiss logos, there are reliable reasons for adopting them. Studies show that approximately 40 percent of the population do not remember things they hear or read as well as they do visual images. This means that more people are likely to recall a great logo than they are a tagline or even your company’s name. If you want your brand to stand out, then you need a fantastic logo. However, it’s important to understand that not just any logo will do. Consider the case of a lawn care company that wants a logo. They start out with ideas that involve trees and grass. On the surface, this doesn’t sound terrible. They are employing images that are related to the services they provide. The problem is that most of the lawn care companies in their area have similar logos. The trees and grass motif is so overused that it’s difficult for consumers to recognize a particular logo or associate it with a certain lawn care service provider. That’s why originality is key when it comes to logos. The Nike swoosh isn’t a depiction of tennis shoes any more than Apple’s apple logo is a representation of a computer. The theory is that your logo doesn’t have to be a spot-on description of the product or service that your company provides. In fact, it is far better if your design isn’t a generic representation, but instead a symbol that is uniquely associated with you and your products or services. Many logos also feature text. This could be a short tagline or the name of your company. While this text portion of your logo must be legible, it can be in nearly any font you like. Nonetheless, you’ll need to carefully weigh what the font conveys. A company that makes toys for children can choose something playful, but a law firm needs to convey a certain air of seriousness and professionalism. Literally millions of font possibilities exist, which makes it easy to find the right style for any project. Ask your logo designer about using one of these popular urban fonts. Color is another important consideration. Studies show that certain hues evoke particular emotions. For instance, you might choose yellow if you want to convey happiness or blue if you would prefer to demonstrate stability. Red is considered energizing while green is viewed as compassionate and playful. Choose color carefully, and your logo will be a good representation of your brand. Above all, when you choose a logo, look for a design that best represents what you want to convey about your company. Do you want customers to view your brand as the authority in the industry or as a trusted family friend? By considering this as well as the image, font and color in your logo, you’ll be well on your way to creating a memorable brand. This entry was posted in Outsourcing and tagged brand promotion, logo on June 30, 2016 by Lachlan Voughters. It may not look that way, but sooner or later, every business will need some marketing to continue (start) growing. Even if it is something as “tiny and insignificant” as a local fast food restaurant, some marketing will come in handy. It can be something as natural as word of mouth which spreads around town or it can be a gigantic marketing campaign that will require millions. A question that business owners will need to answer, therefore, is not whether they need to do marketing, but how to do it. Can they “save” money by doing it all on their own or should they go straight to professionals and, in a way, outsource their marketing efforts? From the title of the article, you can probably deduce that we are of the opinion that marketing should be left to professionals. Of course, we are not expecting you to take our word for it and we will try and give you as many reasons as possible for marketing outsourcing. There is this view that some (many) people hold that marketing is not too complicated and that all it takes is a single idea to make it all work. Even if this was true (which it isn’t), coming up with a fantastic marketing idea is not something that everyone can do, even though many among us believe they can. In reality, it takes much more than just an idea to do a stellar marketing campaign. An idea needs to be analyzed; it needs to be dissected and viewed from innumerable angles. This is something most business owners do not know how to do, simply because they have no education and experience at this. There are reasons why people go to marketing schools. There is a lot to be learned. And this is not even taking into consideration the more “technical” aspects of marketing as an industry. Trust us, there are a lot of these and they all require marketing professionals to work on them. We are talking market research, implementation processes and result analysis, just to name a few. Without being able to do all of this, putting a great idea to work is near impossible. When we are talking about infrastructure, we are talking about the tools and the experts that are at the disposal of the marketing agency you hired. 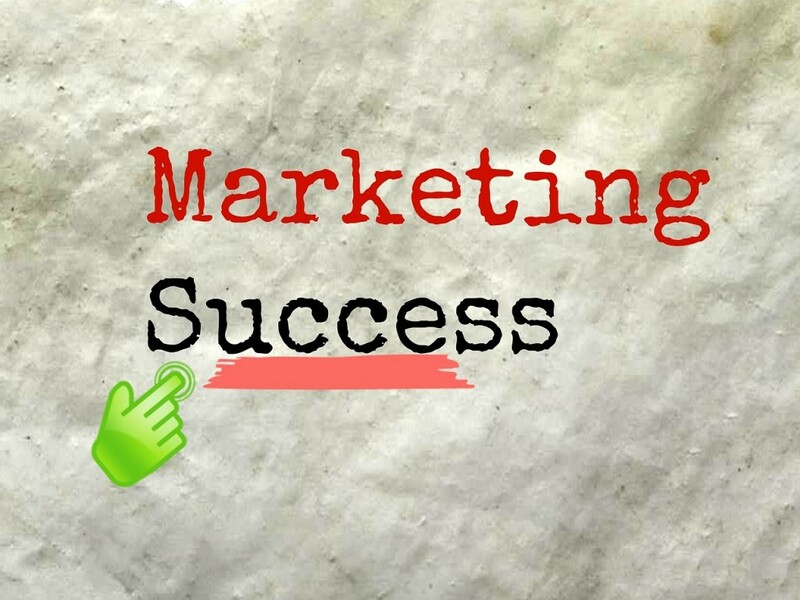 These are essential for launching and maintaining a successful marketing campaign and without them, the realization step will fail and ruin any great idea that you might have. For instance, if your new marketing campaign is supposed to feature a billboard or two around the town, your marketing agency will know who to contact and where to look in order to provide you with the best billboards you can imagine. They will know who to approach in order to do a short radio add for your business. If they think your business might benefit from business promo items, they will know who to turn to in order to have them made. The “infrastructure” is not only important when dealing with the creative part of your new marketing campaign. It also shows its strengths when dealing with the more “business” parts of it. For instance, a marketing agency will be able to analyze and show you how the campaign is working. They will know when it might be time to stop and try something else. There are myriad facts and factors they will keep in mind because they have the means and the tools to do it. You will be paying for your marketing efforts when you outsource, there is no debate about that. A marketing campaign will cost you and there are no two ways about this. However, it is important to remember that there are plenty of marketing agencies out here that specialize in helping small-to-medium business owners promote their brand. With a bit of help of someone like Globality Consulting, you should have no troubles finding someone perfect to help you with your marketing needs and provide you with most bang for your buck, so to say. On the other hand, by employing a marketing agency and outsourcing your marketing efforts, besides getting the best possible results, you will also be saving a ton of time you would need to spend on doing marketing on your own. This time can be much better spent taking care of other aspects of your business, we are sure you will agree. This entry was posted in Outsourcing and tagged brand promotion, marketing, outsourcing on August 24, 2015 by James.